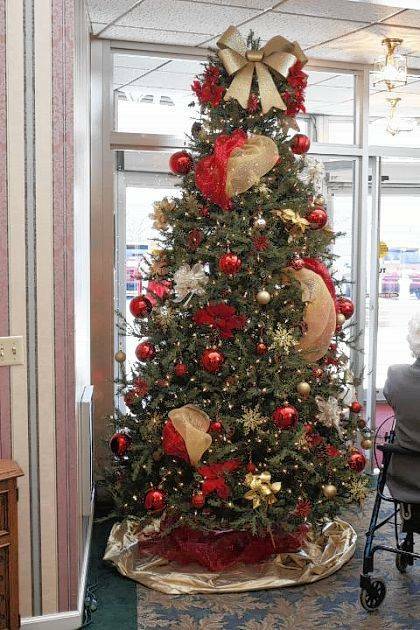 The Tree of Remembrance at Chiles-Laman Funeral & Cremation Services, Shawnee Chapel. 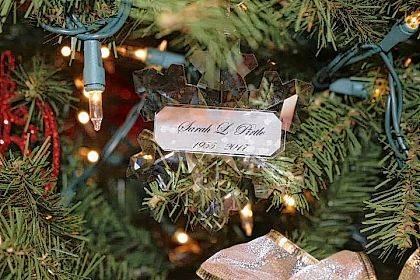 Crystal Snowflakes are placed on theTree of Remembrance at Chiles-Laman Funeral & Cremation Services, Shawnee Chapel. LIMA — For the many Lima-area families that experienced the death of a loved one in the past year, a local funeral home gave those who mourn, some closure Saturday. Chiles-Laman Funeral & Cremation Services hosted its Tree of Remembrance Service to give people who are still missing their loved ones a chance to come together. “This is our 27th year and it’s grown just about every year. We started out with about 125 [people] and we had about 270 reservations this year,” said Bob Laman president of Chiles-Laman Funeral & Cremation Services. He said they have found this service is helpful to families that are suffering from loss. “This is a service to try to get through the holidays. It’s very difficult especially, the first year that you lose a loved one and to hopefully help them with this time of year,” Laman said. The holidays can be tough on the children after a parent dies. “When the kids go back home, a lot of times they’re by themselves, much of the holiday, maybe the day of and a couple days and it just helps them, I think, to see that other people are going through the same things and it helps them that way,” Laman said. Dr. Doug Boquist from Lima Community Church and the Rev. Jim Szobonya from St. Gerard Catholic Church conducted the service this year. Music was provided by members of the Lima Area Concert Band with soloist Deanna Cira and pianist Mary Jane Eichelberger. Five candles were lit during the service in memory of those loved ones who were lost this year. As part of the Tree of Remembrance service, people are given a special ornament, just for them. “We have a crystal snowflake that we give out to each family member that’s lost someone in the past year and we put their name on it, or whatever they would like, and they’re welcome to take that home today, or we have a tree here in the lobby, the Tree of Remembrance that we leave them on there until after Christmas and then they’re welcome to pick them up at that time,” he said. The Tree of Remembrance will remain lit until New Year’s day in honor of the memory of loved ones.